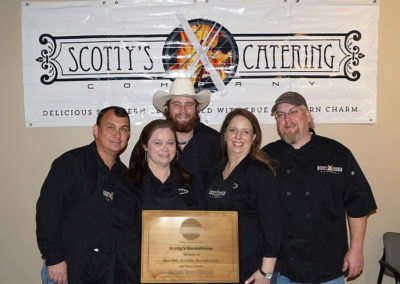 Scottys Smokehouse Catering | Delicious Southern Cuisine Catered with True Southern Charm. 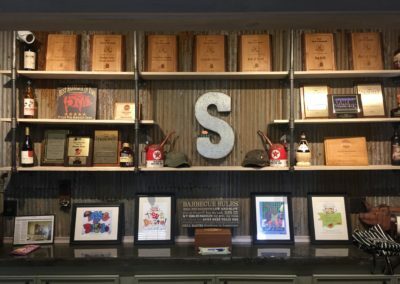 Delicious Southern Cuisine Catered with True Southern Charm. My passion has always been putting my heart and soul in every item we serve. 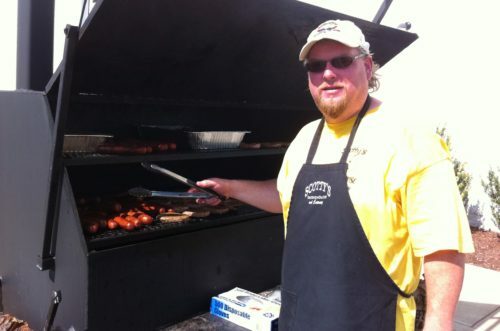 Our bar-b-cue is pulled real pit bar-b-cue, not chopped. We only use fresh baby back ribs and baste them with our home made rubs and sauces. We offer a hot or mild southern style tomato based sauce and a sweet vinegar based slaw. Our beans speak for themselves! Although bar-b-cue is our staple, we offer a wide range of items from Spinach Dip to Bacon Wrapped Scallops. We cater both large and small parties, weddings and corporate events. We realize every event is a special moment in life and we pride ourselves on doing our very best to achieve that. It is truly an honor to look back in remembrance of all the special days you chose us to be a part of. 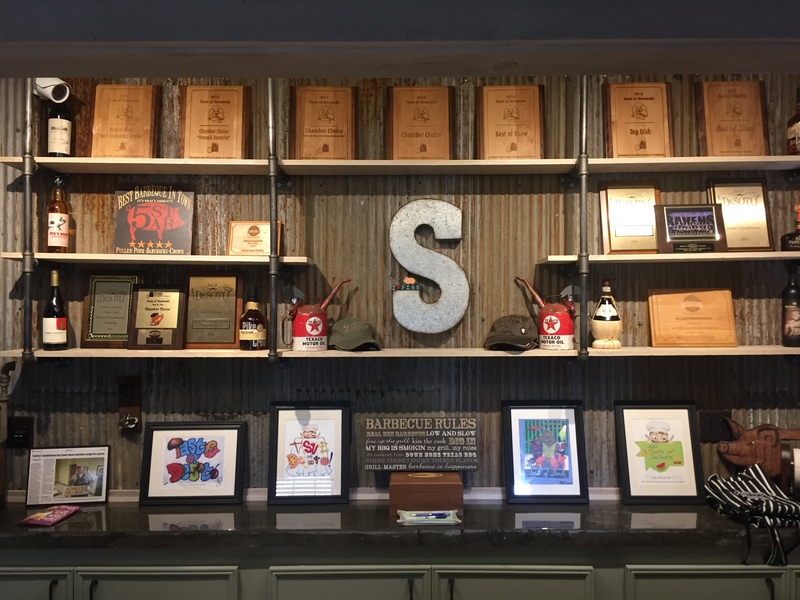 We’re located in Nesbit, Mississippi, but we travel throughout the Mid-South delivering some of the best bar-b-cue and Southern cuisine in the world! We are very proud to have recently relocated to our new location at 928 Nesbit Rd. Where we have not only have our catering facilities with also have a meeting/tasting room. 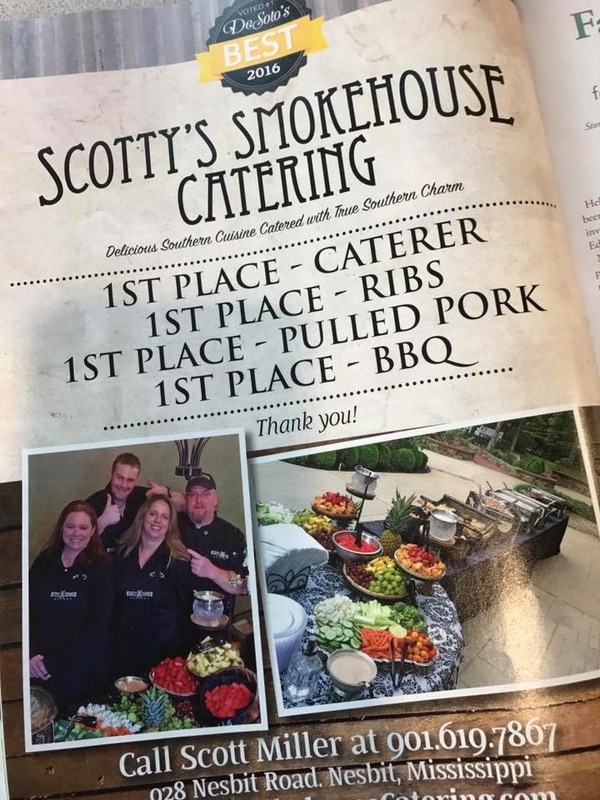 Please call us today 901-619-7867to see how Scotty’s can help make your event a memorable affair. 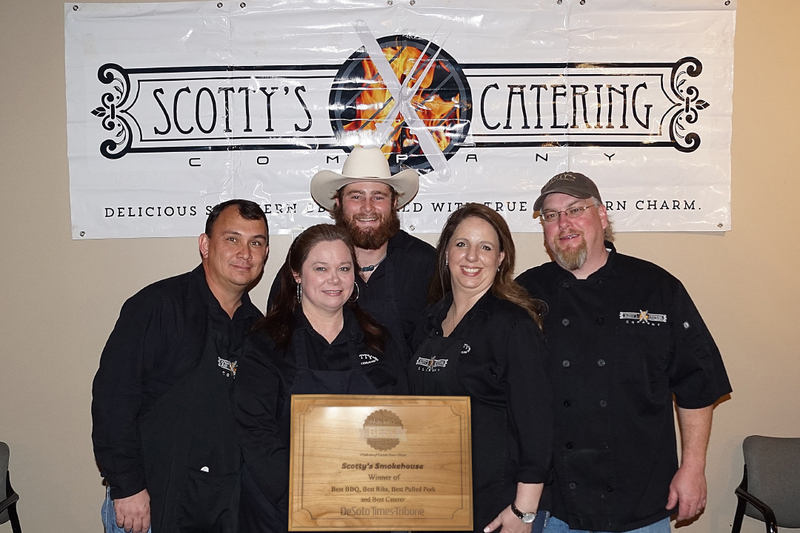 the awards and recognition keep rollin’ in! 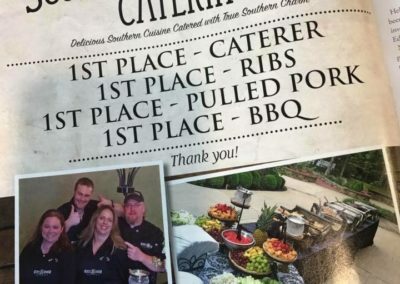 We have won the 2010, 2012, 2013, 2014 and 2017 winner of Best Food at the Taste of Hernando. Winner of Best Classic American Food at Taste of DeSoto 2011, 2012, 2013, and 2014. 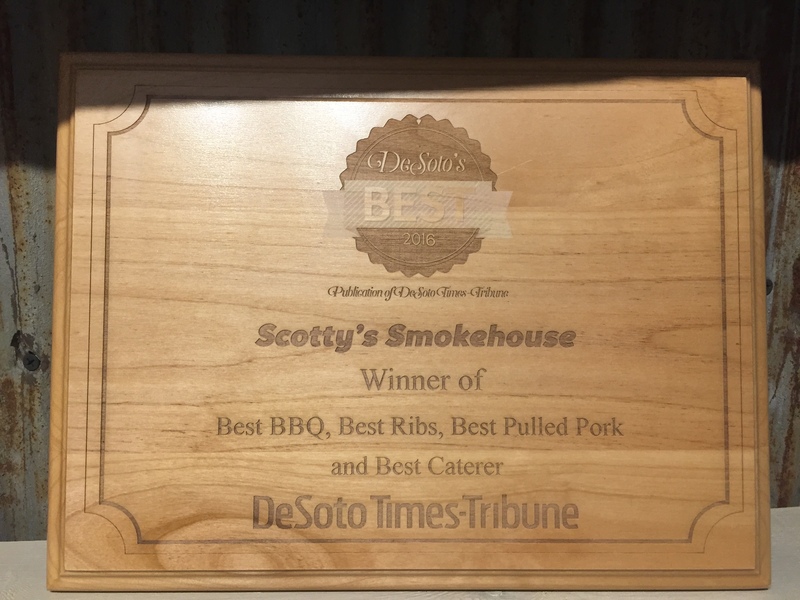 Voted 1# in BBQ, Ribs and Pulled Pork 2016 &2017 at DeSoto’s Best.